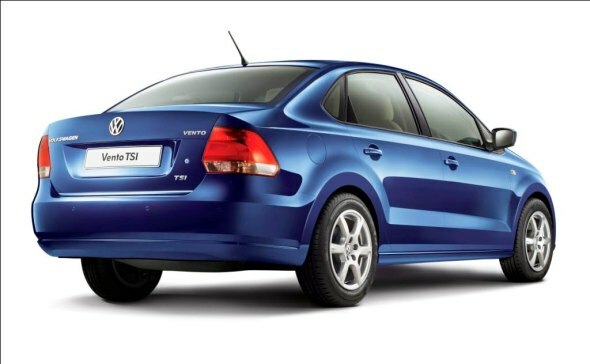 Volkswagen India has just launched the 1.2 TSI engined version of the Vento sedan. The car is priced at Rs. 9.99 lakhs, ex-showroom Delhi and is on sale from October 10th at select Volkswagen India dealers. At present, the Vento TSI will be available in select cities. For now, Volkswagen India hasn’t revealed when this car will be available nationwide. 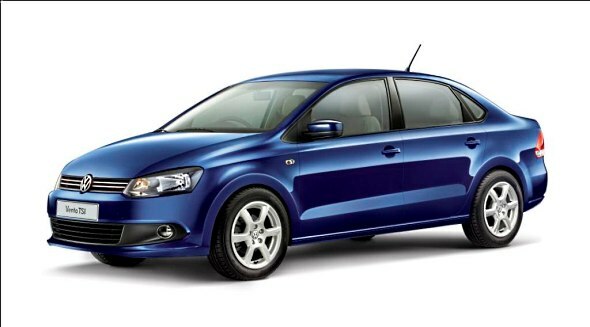 The Vento TSI will replace the Vento AT, as Volkswagen’s new C segment automatic car. The Vento TSI is the second car in Volkswagen India’s line up, after the Polo GT TSI, to use the 1.2 liter TSI turbo petrol engine, a unit that churns out 105 PS of peak power and 175 Nm of peak torque. The 1.2 liter TSI engine is a step up from the naturally aspirated 1.6 liter petrol engine, in terms of torque output (175 compared to 153 Nm) and fuel efficiency (16.93 Kmpl compared to 15.83 Kmpl) while the engine displacement is reduced to 1.2 liters. The Vento TSI’s petrol engine is paired to a 7 speed DSG dual clutch automatic gearbox, a transmission option that’s much more advanced than the heavier and slower shifting conventional torque converter units. The 1.2 TSI-DSG engine-gearbox combination is aimed at driving enthusiasts, who like the torquey response of a turbo petrol engine and the sporty quick shifting nature of a dual clutch gearbox. Turbo petrol engines are the rage across the car world as they offer good low-down torque and fuel efficiency from a lower engine capacity. Volkswagen is phasing out naturally aspirated petrol engines from its global engine line up and this is one reason for the German car giant’s Indian set up shifting focus to TSI power. This said, Volkswagen will continue to sell the Vento’s petrol variants with a 1.6 liter MPI engine and 5 speed manual gearbox. At present, the 1.2 TSI engine is meant only for the Vento AT variant in the sedan’s variant line up.